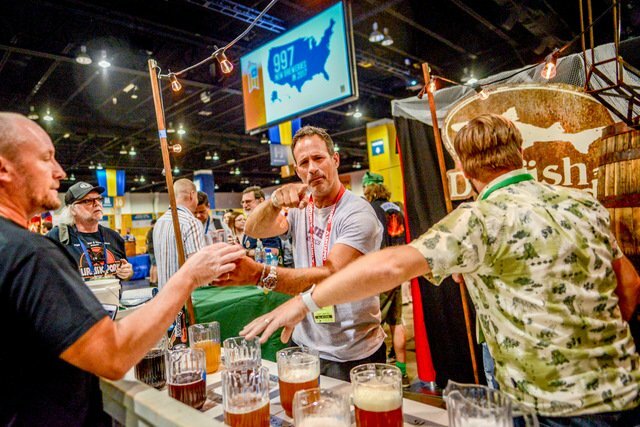 The 32nd edition of the Great American Beer Festival (GABF) happened last week. More than 800 breweries were presented in the expanded festival hall, and more than 4,000 beers were served at the festival, which attracted 62,000 attendees. The Brewers Association (BA), the craft brewing trade association that runs the show, awarded 306 medals to 280 breweries across the United States. In a ceremony at the Colorado Convention Center in Denver, award-winning breweries received gold, silver and bronze medals in 102 beer categories covering 167 different beer styles (including all subcategories). We clearly can’t run them all, but below are the biggest and best examples of each style in the country.